Days after Hurricane Mathew passed through Beaufort, a 60-inch corrugated metal pipe underneath Central Drive failed. The causeway along this road – which served a residential subdivision – became impassable. Andrews Engineering along with J.H. 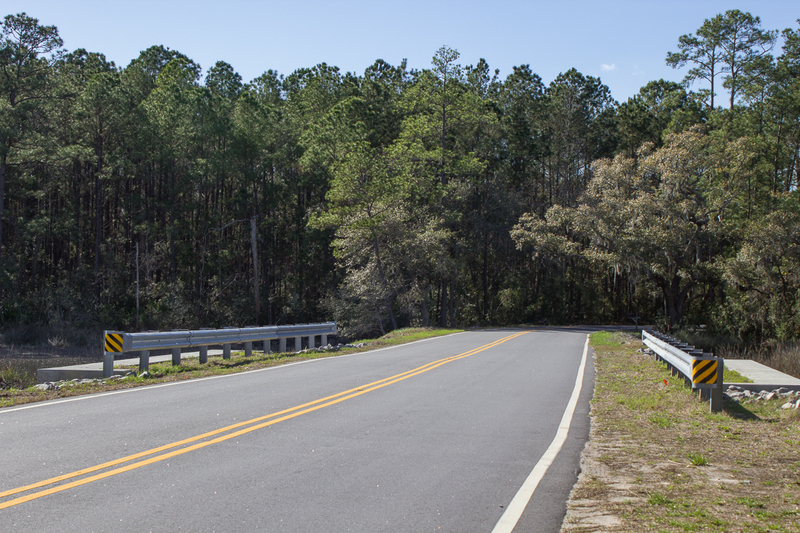 Hiers Construction, were immediately retained by Beaufort County and tasked with assembling a design-build team. The scope of the project was to quickly design and permit a 7’ by 10’ box culvert, FRP headwall, and shore up the remaining bank with nearly 1,000 tons of rip-rap. As part of the design process, our engineers oversaw the hydraulic and hydrologic study along with the complex design of the box culvert’s pile-driven foundation. 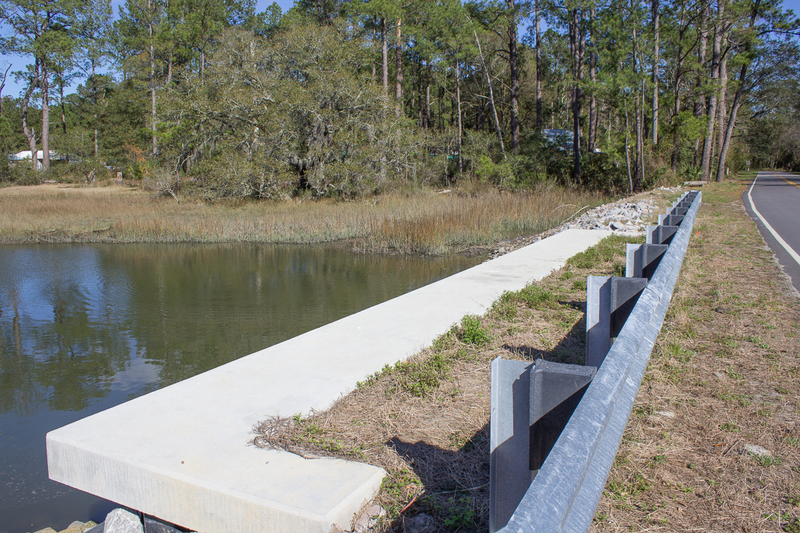 The culvert design was required to meet local, state, and federal codes to be eligible for FEMA funding for reasonable cost-effective hazard mitigations. 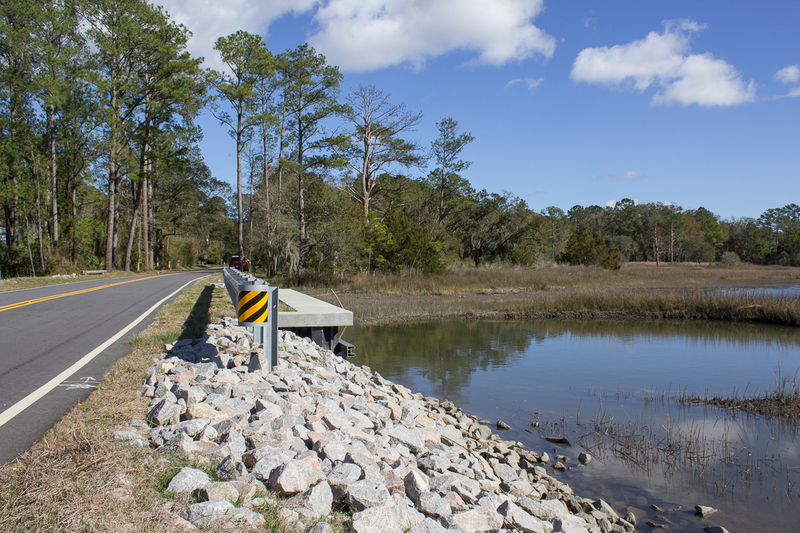 Our engineers worked closely with Beaufort County to prepare and submit the sub-grant application to FEMA. 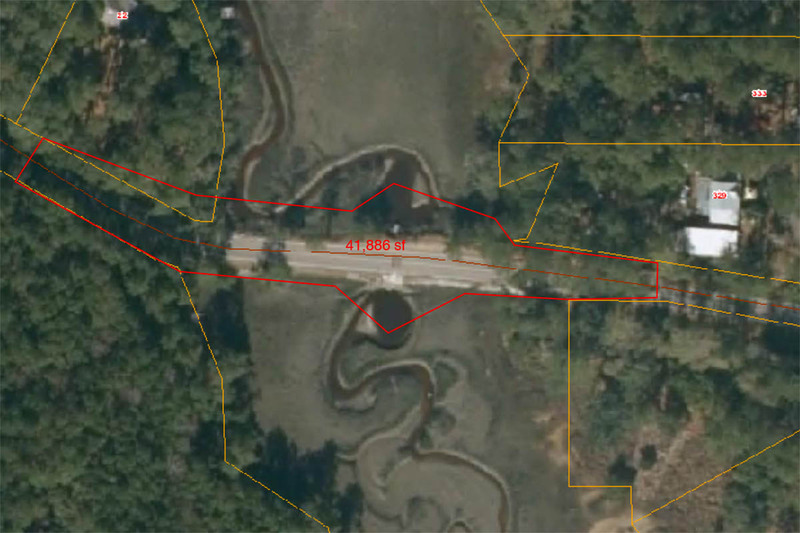 In addition to engineering and permitting, survey crews performed bathymetric and topographical surveys of the upstream and downstream tidal creeks as well as pre and post construction asbuilt surveys of the Central Drive causeway and infrastructure. Our construction manager provided daily inspections and assisted Beaufort County in providing the state, local, federal and FEMA close-out documents.